Inmates at a prison in Ohio may have to wait until their sentences are completed before they get to return to the comforts of home, but in the meantime they're doing their part to ensure that dogs in backyards around the country aren't without a house of their own. When Jim Conroy heard about PETA's Angels for Animals doghouse delivery program, which donates wooden shelters to less-fortunate pets, he knew just the people who might like to help. The Northeast Ohio Correctional Center (NEOCC), where Conroy works, offers inmates a woodworking course -- and they're always on the lookout for new projects. 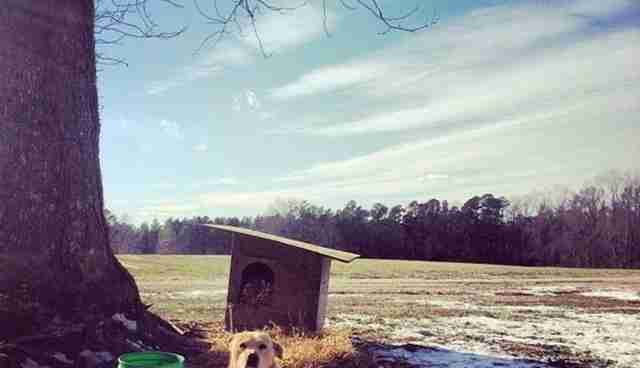 The chance to help some lonely canines while learning carpentry skills made the idea a win-win. 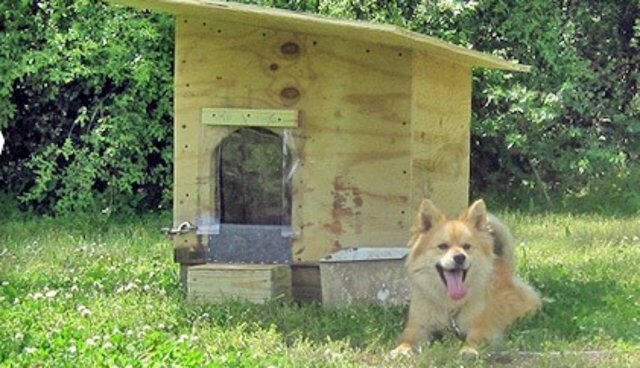 Using blueprints provided by PETA, and supplies generously donated by a local Home Depot, the inmates have already built more than 70 doghouses since the program began, and building around 4 more every week. Last year, PETA delivered more than 350 free doghouses and insulation to dogs that might otherwise be left exposed to the elements.